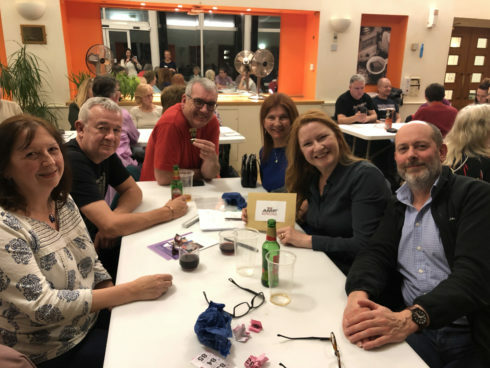 On Thursday 16 March, 16 teams battled to win the coveted Care for Veterans’ trophy and become quiz champions at the charity’s annual spring quiz night, helping to raise £1,621. Members of the Care for Veterans’ Fundraising Team acted as quizmasters and led the teams through eight interactive rounds of questions. Care for Veterans’ residents and their families also joined in the fun and lively quiz. The winning team was Anchored Away, who took home the trophy and won games of ten pin bowling, donated by Worthing AMF Bowling.